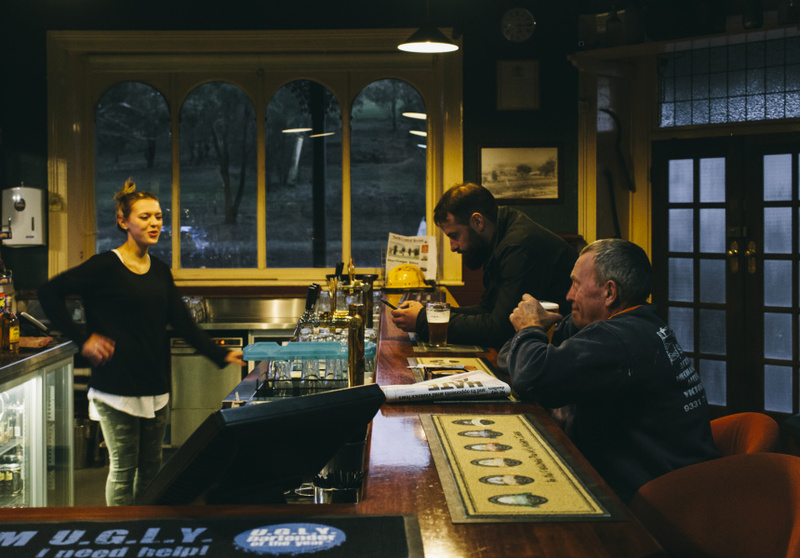 Tooborac Hotel and Brewery might brew its own beer, but publican James Carlin emphasises it’s a straight-down-the-line country pub, not a gastropub. 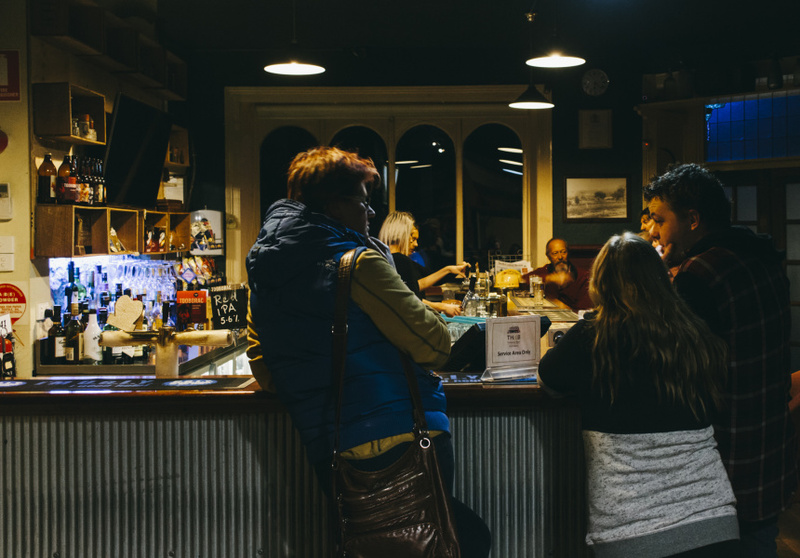 Pull up a stool at the bar and you’ll probably find yourself shooting the breeze with a few farmers and the local postie. Carlin and wife Val took over the Tooborac landmark in 2005, before tacking on a microbrewery in 2009 to realise their craft beer–making visions. The menu ranges from a slow-cooked wild rabbit pie to a double-decker chicken parma. There’s an entire menu for pizzas, and another for pizza-esque parmas. Whatever you order, it’s likely to come with generous sides of chips or garlic butter–drenched vegies. Or in the case of steak or sausages, lashings of mash and gravy. The on-site brewery produces six core beers, plus small-batch special runs such as chilli chocolate stout and maple cream brown ale. It uses malt grown in Ballarat, New Zealand and along Victoria’s east coast, while the hops are from Tasmania. 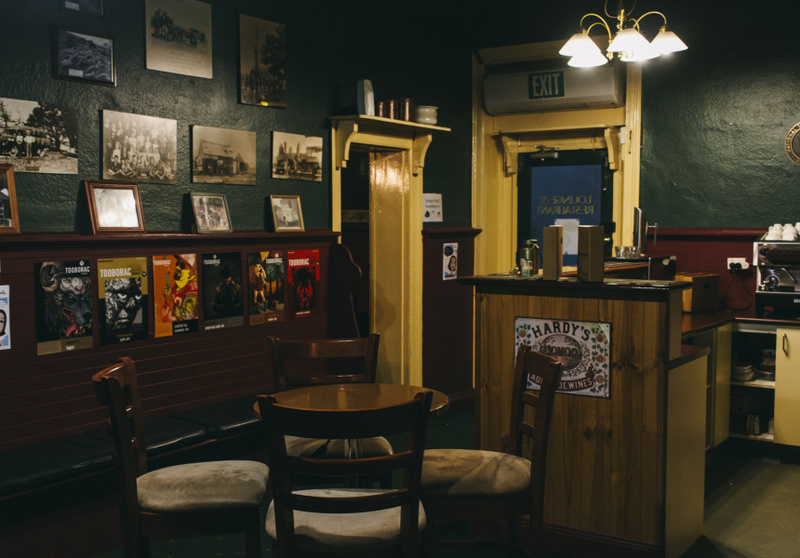 The bar also stocks local wines, Faire Ferments co-op cider, standard beers and spirits – to drink in or take home. There’s trivia on Tuesday nights, and the pie shop next door sells coffee and the hotel’s signature puff-pastry numbers on weekends. The interior is a mesh of forest-green and burgundy walls and carpeted floors. It feels cosy and wintery once you’re a few beers in, positioned next to the open fireplace.